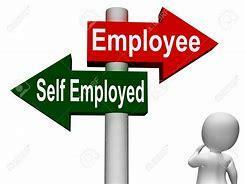 Subcontractors - employed or self-employed? HMRC have recently been sending letters asking businesses to self-review the employment status of subcontractors, to confirm whether they should be treated as employed or self-employed. HMRC seems to be targeting specific sectors. The letter is not a formal enquiry, but is an informal request for the business to self-review the employment status of subcontractors by a certain deadline. If nothing is done before the deadline, HMRC may take a more aggressive approach and issue a formal enquiry to the business. HMRC have developed an online service called ‘Check Employment Status for Tax’ (CEST). If you have not received a letter, but use subcontractors on a self-employed basis, then you should take the opportunity to consider the tax status of those individuals, before HMRC ask you to do so. The impact of a subcontractor being incorrectly treated as self-employed is that HMRC would seek PAYE and NI contributions for previous periods. This would be the employer’s liability.